Built Green Canada: Copper Island Fine Homes Inc.
Copper Island Fine Homes Inc.
Copper Island Fine Homes Inc. is an award-winning home builder in the Blind Bay communities of Shuswap Lake Estates, Cedar Heights, MacArthur Heights, Sorrento, and surrounding areas of the Shuswap Lake, British Columbia. Owners, Greg and Tracy Vistisen responded to a need for local residential contracting emphasizing value without compromising quality and innovation. We work with a limited number of projects at one time, with a focus on quality and customer satisfaction. Since our first home, we have garnered awards, achieved high ratings in customer satisfaction, and committed to continuous improvement—in after-sales service, in adoption of new building techniques, and in striving for building excellence. 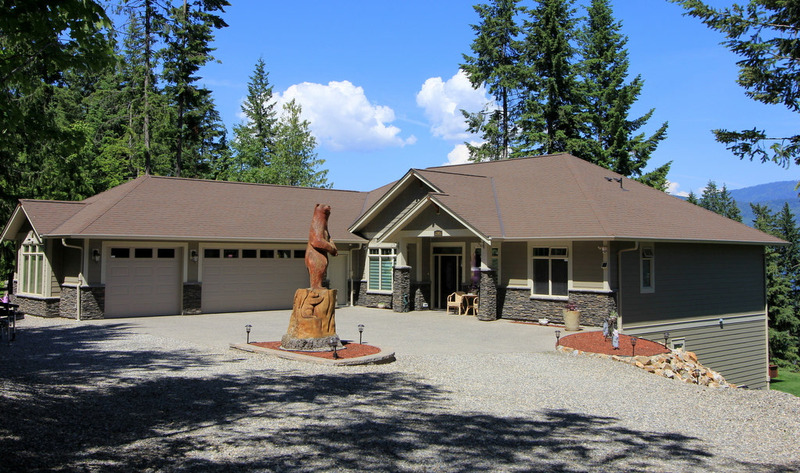 Our approach is to help clients choose a stock plan or work with a professional designer to arrive at a design that takes advantage of the subject property's unique features while blending harmoniously with the Shuswap's natural beauty and surrounding homes. Using proven and innovative techniques, quality construction materials and finishes, and the area's most talented trades and craftsmen, Copper Island Fine Homes takes each project to full completion—on time, on budget, and to the highest possible standards. Copper Island Fine Homes is more than a custom home builder. Our team offers a range of services that includes major renovations, build to lockup, project management, interior and exterior design, and much more. We're proud to be the only builder in our area to offer complete customer service support with an on-staff interior designer. Copper Island Fine Homes Inc. is a registered home builder with the British Columbia Home Protection Office and is pleased to offer full warranty protection through Traveler’s Canada.